Whether you live in your van fulltime or use your vehicle as a weekender, having a reliable power source on hand is a must to ensure a comfortable existence on the road. Over the years I’ve experimented with various rechargeable batteries and gas-powered generators, which I’ve found to be helpful, but not ideal. For example, while batteries like the Anker PowerHouse are handy for charging cellphones and other small electronics, they are nowhere near powerful enough to run bigger appliances like heaters, blenders, and refrigerators. Gas generators typically have more power output, however they are loud, stinky, and are not often allowed in campgrounds. Long-term, my goal has always been to be able to harvest clean, renewable energy from the sun. To put it simply, I’ve dreamed about going solar since day one of van ownership. Until now, what’s kept me from adding solar panels to the roof of my van was largely lack of electrical knowledge. I’m not an electrician. Each time I’ve attempted to read up on solar panel installation and battery bank management, I’ve been scared away by complex theory, confusing wire schematics, and the fear of killing myself by way of high-voltage shock or electrical fire due to improper installation. I’ve looked for free resources online and bought expensive books about the subject; the end result has been the same: confusion and frustration. The price of a solar power system has also been a big deterrent in my quest for free energy. 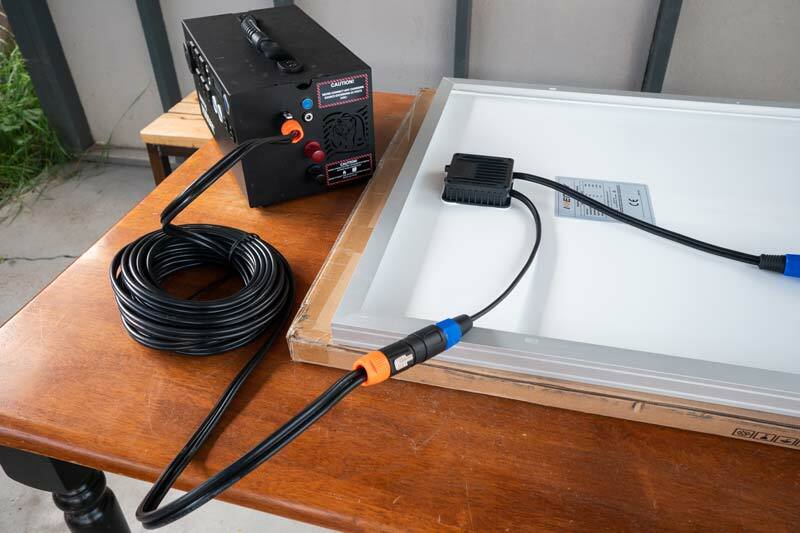 Paying an established van outfitter to install a solar system takes all the guesswork out, but it also costs many thousands of dollars, which thus far, I have not been able to afford. Since this kind of expenditure was outside of my budget, having solar power remained a bucket-list dream. 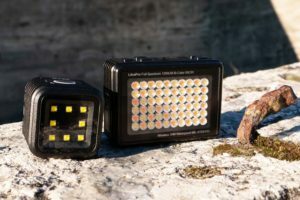 Then, in September of 2018, a company called Inergytek reached out to me and offered me the chance to test/review a solar power kit called the “Kodiak Solar Generator, ” and I instantly jumped at the opportunity! 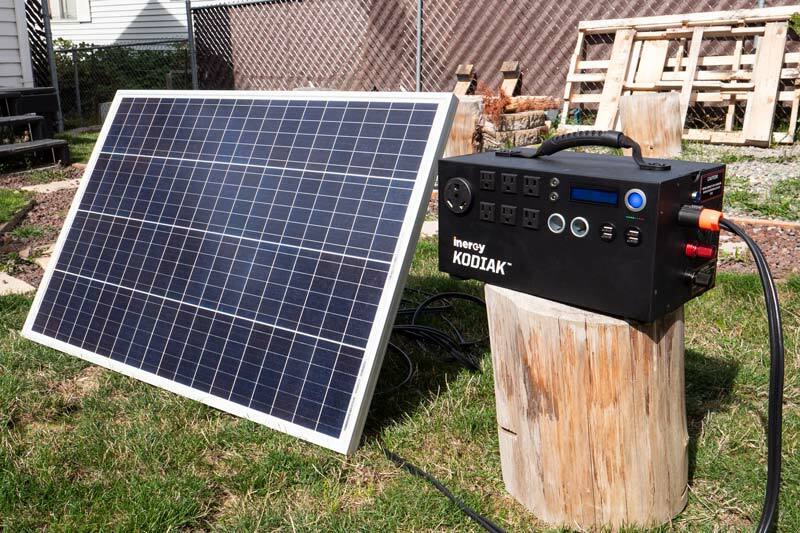 The Kodiak Solar Generator is a plug-and-play system that’s super easy to set up and use. Even folks like me, who aren’t well versed in electricity, can get up and running fast. My install took less than two hours to complete. Once the generator, cables, and solar panel were delivered to my house, I unpacked the boxes, plugged one end of the cord into the solar panel, screwed the panel to my roof rack, ran the beefy electrical cord down my roof and into my vehicle, plugged the second end of the cord into the Kodiak Solar Generator, and boom, I was collecting free solar power. Easy peasy! Best of all, I did the install myself and it didn’t cost me a dime. This means the Kodiak can charge a laptop 20x, a tablet 30x, and a smartphone 150x. 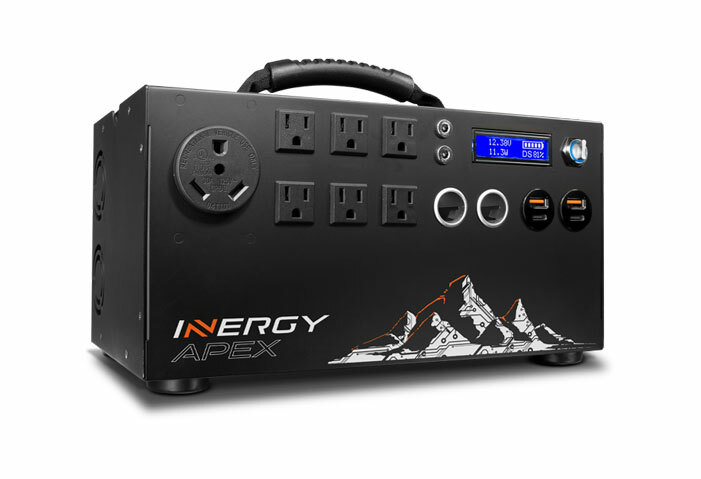 It can power an LED TV for 25+ hours, run a fridge for 30 hours, and it can even power an 11 AMP VITAMIX BLENDER! Note: I have one 100-watt solar panel and it takes me roughly 18 hours to charge the Kodiak fully. Overall, I’m very pleased with this solar generator and its performance. It’s a good product that I can easily recommend. While the $2000 price tag will be a deterrent for some, relative to other systems on the market today this price is fair, especially when you consider that the Kodiak is rated for 2000+ charge cycles. If you decide to invest, I have a coupon for you. 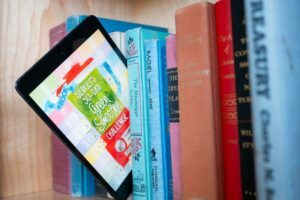 Since the company came to me for a review, I had more negotiating power and was able to get a discount code for my readers. Visit the website: https://inergytek.com and use promo code: sergei20 and save 20% on the Kodiak Solar Generator at check out. This knocks about $375 off the total and that’s a beautiful thing! Hope this helps… Good luck going solar! Inergy Solar has a new generator in the works. It’s called the Apex and it’s now available for pre-order. The Apex will begin shipping in May of this year. You better believe I’ll be reviewing this new model very, very soon! If you don’t want to wait for my review, you can visit their website: https://inergytek.com and pre-order today. 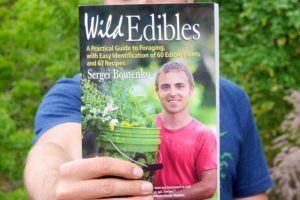 Don’t forget to use promo code: sergei20 to save 20%. Next PostVan Boom: Why Are Vans Trending & Is Van Life The New American Dream?